Great mix of action and music. Violence and music plays a vital part in this simple tale of hungry-for-power. You will be drawn deep into the storyline from the first few scenes on screen. The film keeps you at grip from start to end, and will leave you discussing and praising about it. Nothing in this movie is too much, not music, not action, not drama. Every scene in the movie is perfect. There were also quite a few humorous moments as well. As far as I can see there’s no moment when rhythm is not steady or story lacks of focus. My favourite moment of the film is when Prakash Raj asks Jayasudha whether she want to know the ‘name’. Her answer ‘no’ was so touching. Jayasudha’s scenes with Silambarasan are beautifully presented, especially their meeting at Renu’s apartment. As Silambarasan explains what he want, memories of ‘Mother India’ came to my mind. I wish I had a better memory cause there are some awesome lines in this. The lines that make you laugh out loud, and also that which touch your heart. And… then the whole climax portion literally blow me away. Chekka Chivantha Vaanam is the bloodiest, coolest, most entertaining film of Mani Ratnam. It is like Mani Ratnam in Thiruda Thiruda mode. At few places it doesn’t look like a Mani Ratnam film, like the Godown-Arun Vijay scene, first scene after interval, intro-portion of Silambarasan, but they were still good. I felt as if he want to show how it will be if Mani Ratnam is targeting box office. Its well done and its entertaining and stylish in his style. Hit on the right spot. Mani Ratnam has a way of doing things in his movies that make them so much different than other movies. He is a visual genius. He absolutely nails this film. The richness on screen, and the theatre experience of the movie is such, that even the biggest complement may sound like a simple comment. I could go on all day about all its strengths and why it is such a phenomenal entertainer. 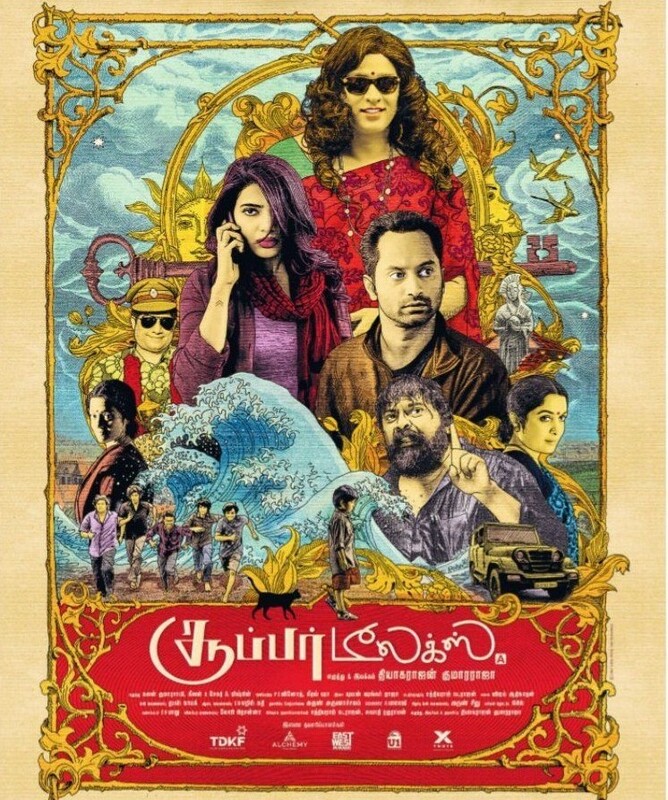 Star-studded movie is decorated with supreme stylish performances of lead actors. Top four scores high as expected. Anyway other major characters are also melded into complex individuals. Especially the characters of Chithra (Jyothika) and Renu (Aditi Rao Hydari). The cast is to die for. 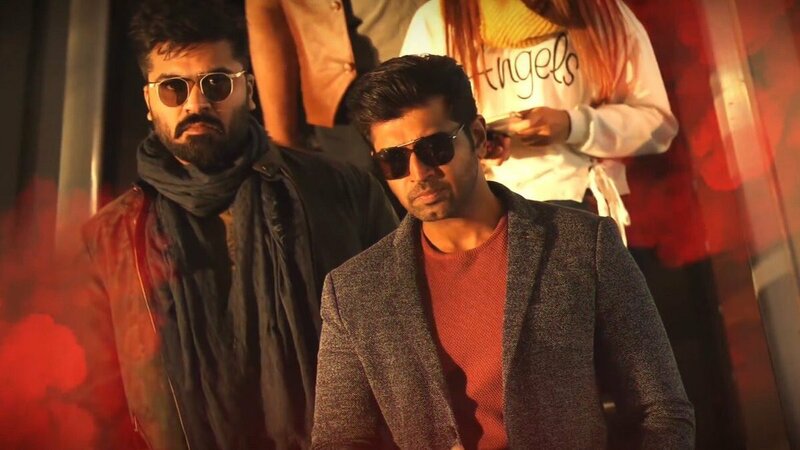 Aravind Swami, Vijay Sethupathi, Silambarasan and Arun Vijay. The film is so rich in characters that it’s practically impossible to select a favourite. Vijay Sethupathi is the standout in the ensemble cast and its amazing how his eyes expresses so much even with a blink. He will be, sooner or later, termed as one of the greatest actors of all time. Arun Vijay’s performance was subtle. Aravind Swami convincingly shows the personality, swagger. The veteran scores! Silambarasan is exceptional. He is in command after a long. He stole so many scenes. AR Rahman is awesome as always. the music tracks fits to every scene. As much as the movie is action oriented, it is also musical. ‘Sevandhu Poche…’ is electrifying. The song was the perfect choice and it is played it at just the right times. Can watch the movie in big screen few times for the sound track itself. It is like heaven for musical-action film fans. AR Rahman is on top form. With AR Rahman and Santhosh Sivan, Mani Ratnam’s Chekka Chivantha Vaanam is a triumph. They bring magic to the screen. They are in full rage. Chekka Chivantha Vaanam is not in the category with other Mani Ratnam greats such as “Thalapathi” and “Nayakan”, however it is still a remarkable film! It is one of the finest. This is the sort of action films that you would watch few times. It’s intense, has plenty of action, great story and great performances. It has everything a winner should have. If you want a film that leaves you hungry for more, ‘Chekka Chivantha Vaanam’ is the film.